McKeesport, December 11, 2012 — State Sen. Jim Brewster is reminding constituents that the filing deadline for the 2011 Property Tax and Rent Rebate is Dec. 31. [frame align=”right”] [/frame]Brewster said the Property Tax and Rent Rebate Program provides financial assistance for homeowners and renters who are 65 years or older, widows or widowers over the age of 50, and permanently disabled persons over the age of 18. The program’s income eligibility limit for qualifying homeowners is $35,000. The rebate ranges from $250 to $650 depending on the individual’s gross income. 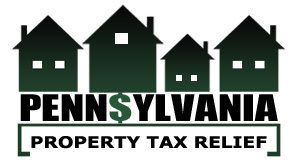 Some homeowners may receive larger rebates than requested, based on income and/or property taxes, because they may qualify for a supplemental property tax rebate up to $975. Qualifying renters must have an income under $15,000 and their rebate ranges from $500 to $650. Brewster said he and his local staff stand ready to help seniors obtain applications and apply for their rebate.